Kale is a superior powerhouse that trumps all other vegetables on our planet! This one should be the first University that you apply to your salad or green drink! One cup of kale provides you with: 180% DV of Vitamin A, 200% DV of Vitamin C, 1,020% DV of Vitamin K, and contains only 36 calories, 5 grams of fiber, 15% of the daily requirements of calcium & vitamin B6, 40% magnesium and it’s a good source of: minerals copper, potassium, iron, manganese, & phosphorus. 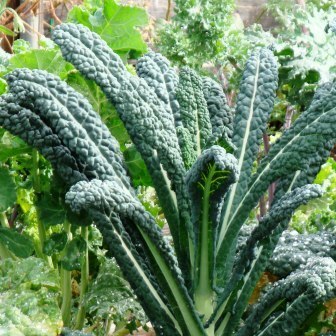 Eating one cup of kale is like eating: 103 bananas for enough Vitamin A and 384 small carrots for Vitamin K.